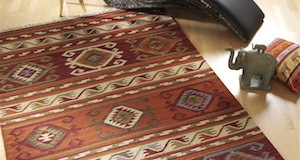 The Kilim is the precursor of hand-knotted rugs. 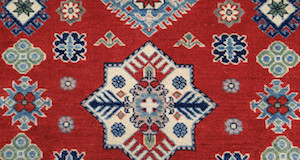 It originates from the region of the Caucasus. 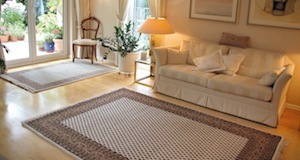 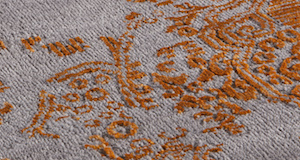 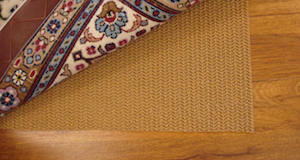 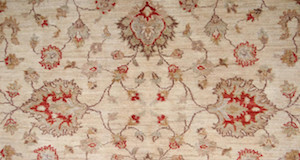 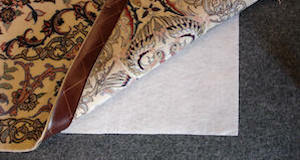 In contrast with knotted carpets, Kilims are flat-woven and therefore have no pile. 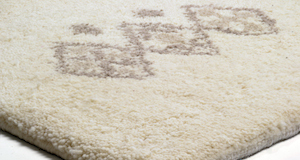 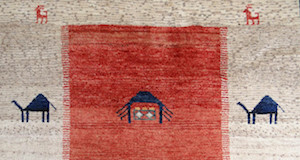 The Kilim appears in various weaving techniques: from the simple Kilim to the Sumak, Verneh, Zili and Cicim. 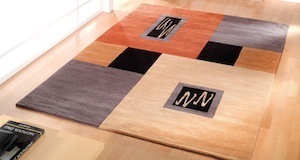 Most of the designs are geometrical. 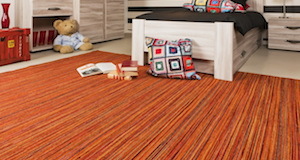 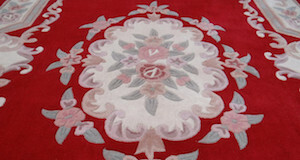 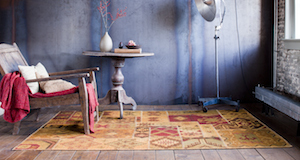 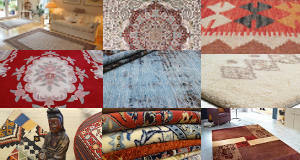 The colours are bright and lively, on a dark background, which is very common for Kilims. 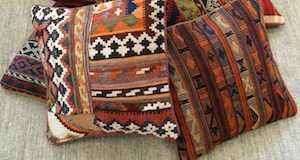 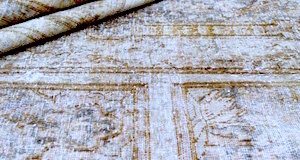 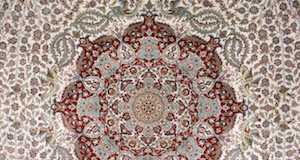 In the Caucasus as many Kilims are woven as there are carpets knotted by hand. 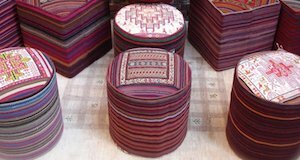 Traditionally and as an indispensable element for comfort in the yurt of nomads they serve as floor covers, curtains, wall hangings, blankets, travel bags, saddle covers, cradles, cushions, tablecloths, etc. 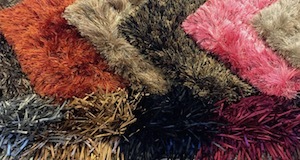 But most often they are used as bags to store or transport cereals etc.